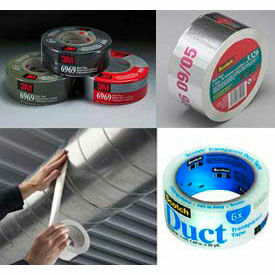 General Purpose & Economy Grade Duct Tapes are used for sealing, wrapping, holding, color-coding, and most any other odd job. 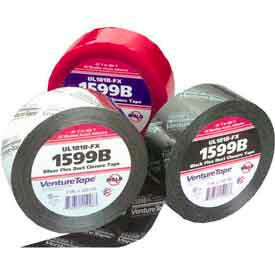 General Purpose & Economy Grade Duct Tapes have a vinyl or polyethylene coated cloth backing with rubber adhesive that securely adheres for protection from moisture. Its durable design temporary repairs cracked or broken items, applies easily, and will not curl when unwound and conforms well to irregular surfaces. These Tapes come offered in a multitude of colors including Silver, Green, Red, Yellow, White, Black, Brown, and Orange. Industrial Grade Duct Tapes can be used for most general purpose application, but are made with a stronger adhesive coating weight and thicker Mil, can also handle more demanding jobs in the commercial and industrial fields. 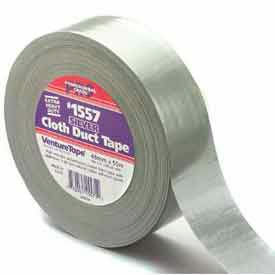 Industrial Grade Duct Tapes have a vinyl or polyethylene coated cloth backing with rubber adhesive that is superior to the Economy and General Purpose style, which makes this style more versatile in a range of applications. These Tapes come offered in a multitude of colors including Silver, Green, Red, Yellow, White, Black, Brown, and Orange. Premium & Contractors Grade Duct Tapes are made with adhesive coating weight and Mil Thickness stronger and higher than Industrial grade Duct Tapes, making them an ideal solution for heavy duty projects. The strong adhesive works well at masking against coatings and provides instant adhesion to a wide variety of surfaces, including wood, metal, concrete, and more. These Tapes come offered in a multitude of colors including Silver, Green, Red, White, and Black.